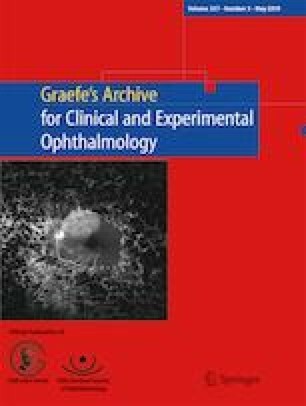 To assess the pupil light response (PLR) to chromatic stimulation in patients with different types of X-linked congenital stationary night blindness (CSNB). Eight patients with CSNB due to CACNA1F and NYX mutations were exposed to blue and red light stimuli, and PLR was evaluated using infrared video pupillography. Pupil responses were compared between CSNB patients and healthy subjects (n = 34) at baseline, at maximum of constriction, for post-illumination pupil responses (PIPR) and the slope of redilation using Cohen’s d. A subgroup comparison was performed descriptively between CACNA1F and NYX associated CSNB patients using the same parameters. In CSNB, smaller baseline pupil diameters compared to healthy subjects were measured both before blue and red light stimulation (d = 1.44–1.625). The maximum constriction to blue light stimuli was smaller for the CSNB group compared to healthy subjects (d = 1.251) but not for red light stimuli (d = 0.449). Pupil response latencies were prolonged in CSNB for both light stimuli (d = −1.53 for blue and d = −1.011 for red stimulation). No relevant differences were found between the CSNB group and healthy subjects for PIPR (d = 0.01), but the slope of redilation was smaller for CSNB patients (d = 2.12). Paradoxical pupil constriction at light offset was not seen in our patients. A reduced redilation and smaller baseline pupil diameters for patients with CSNB indicate a disinhibition of intrinsically photosensitive retinal ganglion cells due to affected post-photoreceptor transduction via bipolar cells and can explain the pupillary behavior in our patient group. This study was funded by the Fortüne program of the University of Tübingen (Fortüne number 2079-0-0).